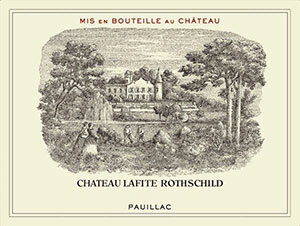 Tasted at BI Wine & Spirits' 10-Years-On tasting, the 2007 Lafite-Rothschild has an elegant cigar box bouquet, with dusky black fruit and a touch of antique bureau—just classic Lafite. The palate is medium-bodied with fine tannin, cedar and tobacco infusing the black fruit, classic in style with a conservative yet focused finish that lingers in the mouth. This is certainly the most subtle First Growth, but one of the most refined too—a sophisticated but understated Lafite-Rothschild that will age with discrete style. Tasted February 2017.